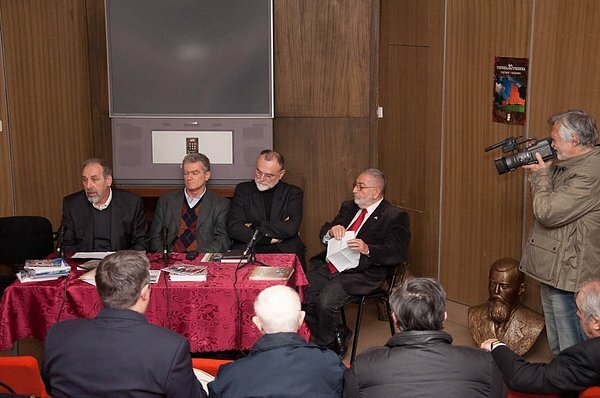 On December 16th, inst., the book “Righteous among the Nations – Serbia” was presented in the Memorial Museum “21st October” in Šumarice. 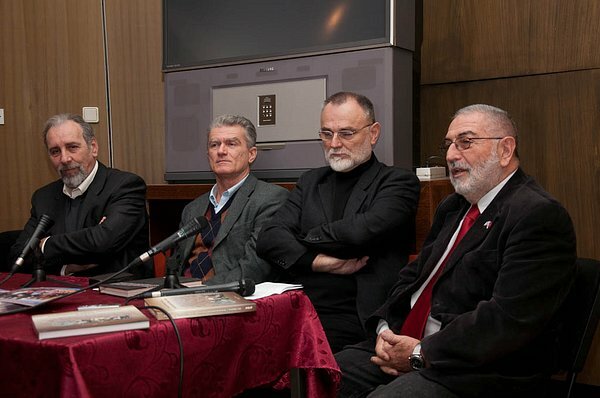 The Šumarice Memorial Museum, an indisputable symbol of the calamity that befell the citizens of Serbia during World War Two, was host to book: co-authors, historians Dr Milan Ristović and Dr Milan Koljanin, the Jewish Communities in Serbia Federation president, Mr. Aleksandar Nećak and JC Zemun president, Mr. Nenad Fogel. 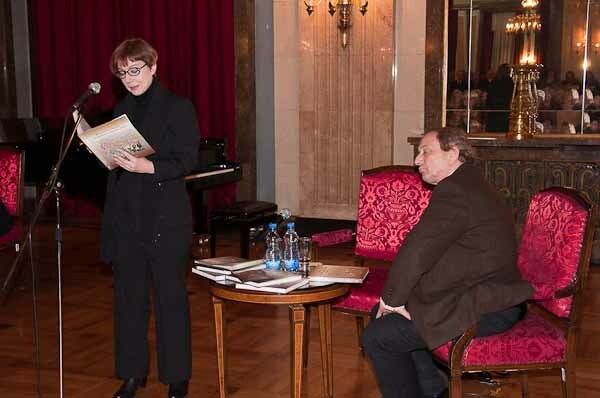 Special guest at the promotion was drama actor Mr. Goran Sultanović. 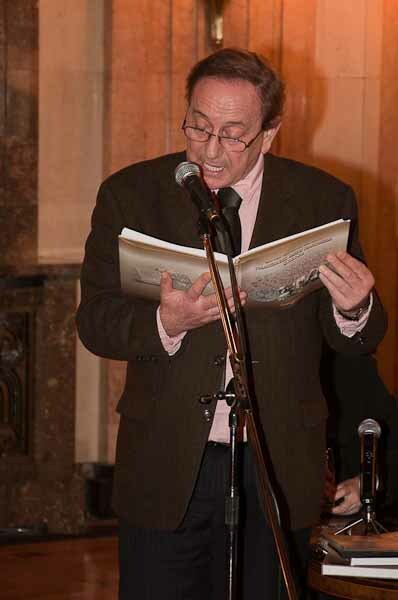 The book is dedicated to the citizens of Serbia, the unarmed heroes, who as the writer of life-stories Mr. Milan Fogel puts, under threat of death during World War Two, saved Jews, more often than not, completely unknown to them. 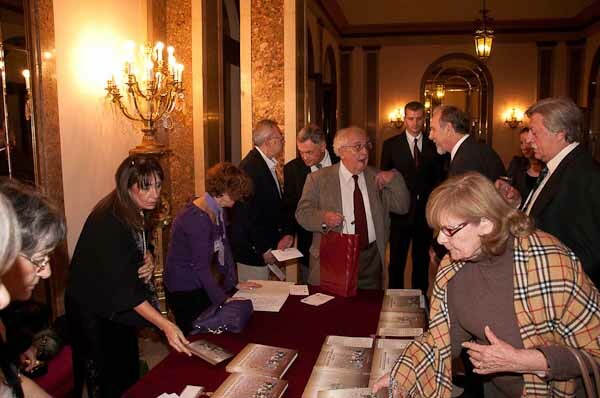 To allow better understanding of the courage of the Righteous the book section written by Prof. Dr. Milan Ristović, speaks of the historical conditions under which rescue operations were undertaken in the territory of Serbia. 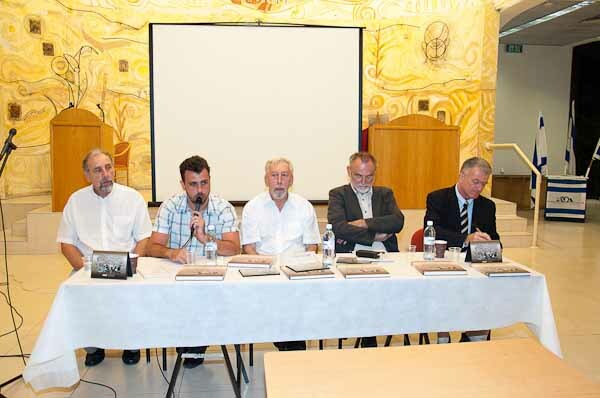 In his section historian Dr. Milan Koljanin gives a comprehensive outlook of the conditions Jews lived in inside Serbia and the state of Yugoslavia up to 1941. 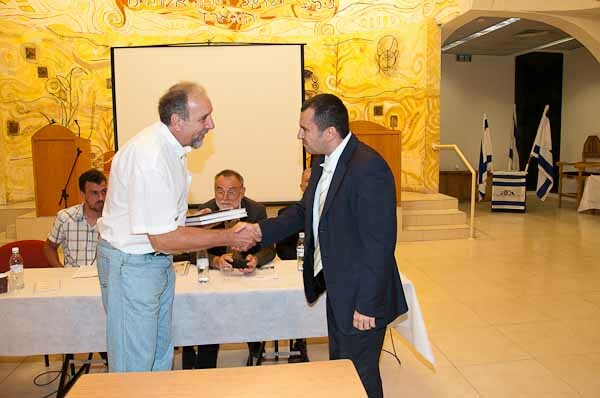 The book is also dedicated to the destiny of the Jewish population persecuted in Serbia during World War Two and their bare survival. 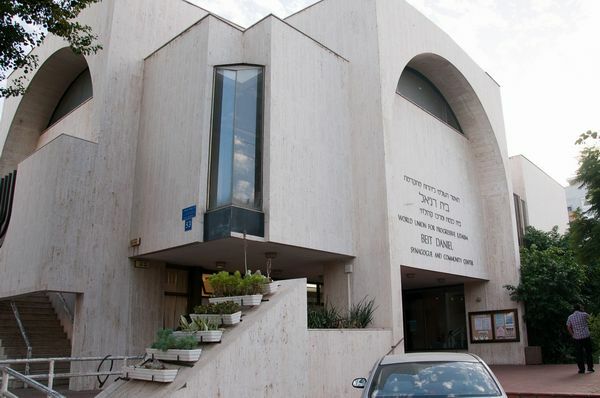 The first months of the war saw the incarceration of Jews in the Topovske šupe camp. Once inside the camp Jews became an “undying” source for hostage executions in reprisal operations carried out by the Nazis. The mass execution of hostages by firing squad that took place in Kragujevac on October 21, 1941 established that Serbs were not exempted from oppressive hostilities undertaken by the German occupation administration. The number of killed hostages, 2794, clearly shows how the occupation authorities victimized Serbs and Jews alike. 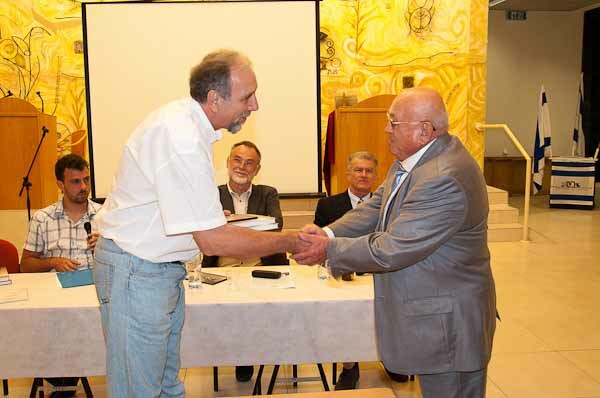 The horrific destiny that bonds the two peoples was once again proven when at the close of the promotion the Head of the Kragujevac Museum invited us to be their guests in Kragujevac next spring. 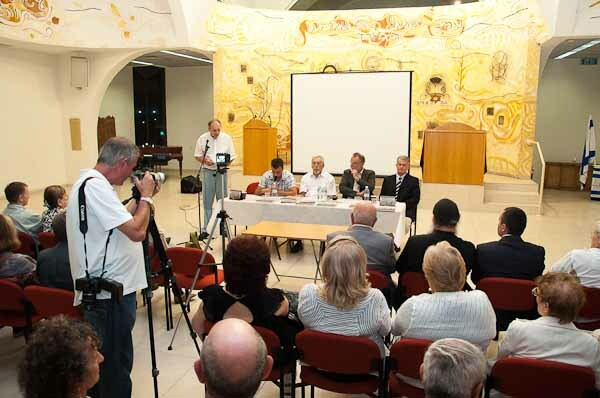 Apparently book presentations undertaken by the Federation of Jewish Communities in Serbia, JC Zemun, as well as, book authors, can be ”read” as groundwork for a lasting memorial to the good people of Serbia. 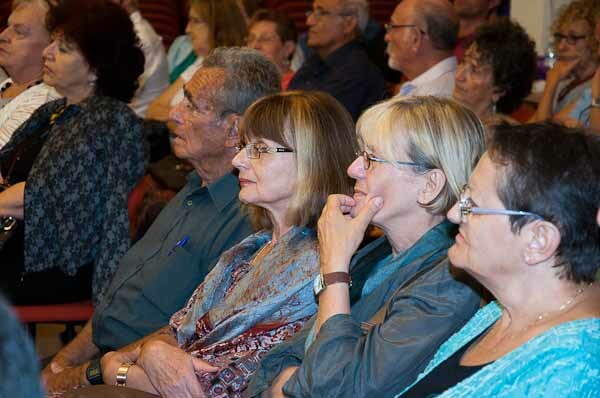 The premiere presentation in Israel of the book “Righteous among the Nations – Serbia” was held in Tel Aviv on October 28, 2010. 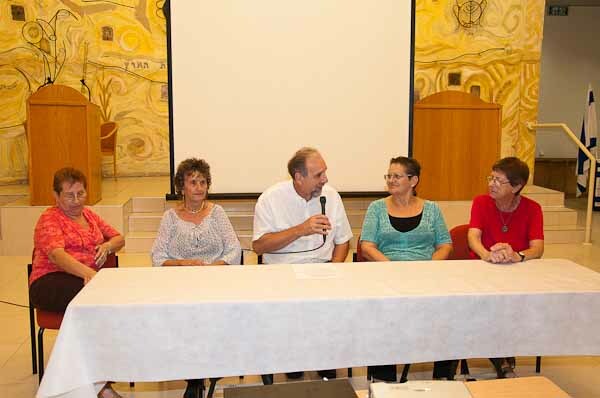 The book promotion in the Beit Daniel synagogue was opened by Nenad Fogel who at the very start stated: “I have great pleasure in being here with you tonight and in the company of three authors, three Milan’s: Milan Ristović, Milan Koljanin and Milan Fogel. Above all I would like to express my gratitude to the President of the Hitahdut oley ex Yugoslavia, Mr. Ben Shahar for his kind invitation. 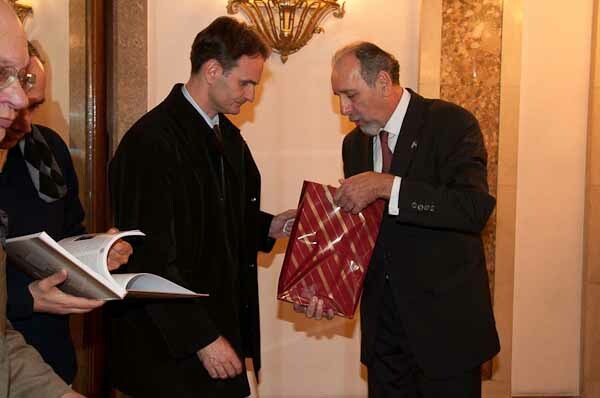 My special thanks to Mr. Josef Žamboki without whose generous donation we would not have been able to present today the book about the Righteous among Nations – Serbia, published by the Zemun Jewish Community.” (see the whole speech) He then expressed his gratitude to associate Miriam Aviezer Steiner, who assisted in the acquiring of relevant material which proved to be of great importance to the author Milan Fogel in writing the authentic life-stories of the Righteous. On the other hand Milan Fogel made every effort to maintain a logical thread by perfecting each story detail. The fact that he lives in Israel helped him to get in contact with many survivour Jews who immigrated to Israel upon World War Two. Before he began writing the stories Milan Fogel came to Belgrade to study material archived in Belgrade’s Jewish Historical Museum. As a result of this copious, two-year preparatory research work over 60 stories about the Righteous of Serbia came to life. 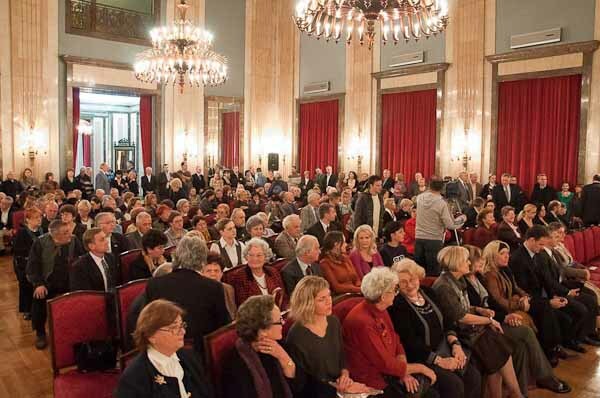 Beside the mentioned authors and the book editor present at the promotion were English translator Olivera Polajnar and proofreader Ida Dobrijević. Photos illustrating this text were taken by the book’s technical editor Jugoslav Rakita. 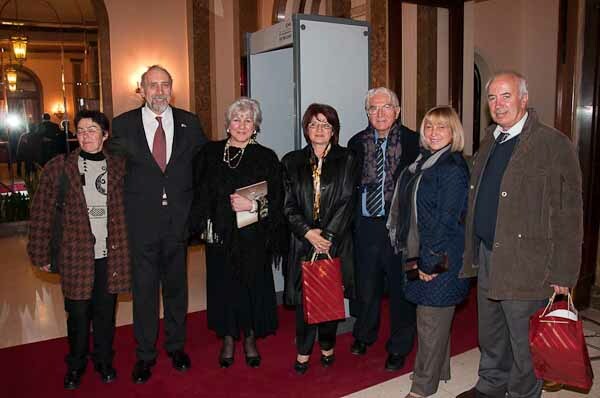 The president of the Jewish Community in Zemun, Mr. Nenad Fogel presented sets of the edition about the Righteous of Serbia to Mrs. Miriam Aviezer Steiner, Mr. Ben Shahar, the President of the Hitahdut oley ex Yugoslavia and to Mr. Josef Žamboki, as well as, to the charge d’affair of the Embassy of Serbia in Israel, Mr. Milutin Stanojević. 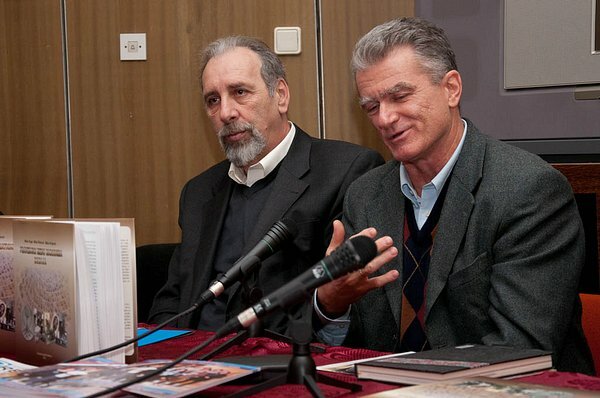 In expressing his gratitude Mr. Stanojević said: “I am grateful to the authors and the publisher for bringing to life this exceptional work which is a contribution to the repute of both the country of Serbia and Serbs, as well as a confirmation of the battle of the Serbian people against Fascism.” He especially thanked the Zemun Jewish Community, as well as the Jewish Community in Serbia, maintaining the view that such events contribute to building and maintaining ties among the two people and are of significance for future coming together of both countries in other fields of activity. At the end of his speech he pointed to the broader moral significance of the book from its historical aspect, as well as to its aspect of envisaging a future that lies in wait for us all. Next on the program was the viewing of the documentary film about the Righteous. The film script was written by Nenad Fogel. Mr. Rakita was film and sound editor. 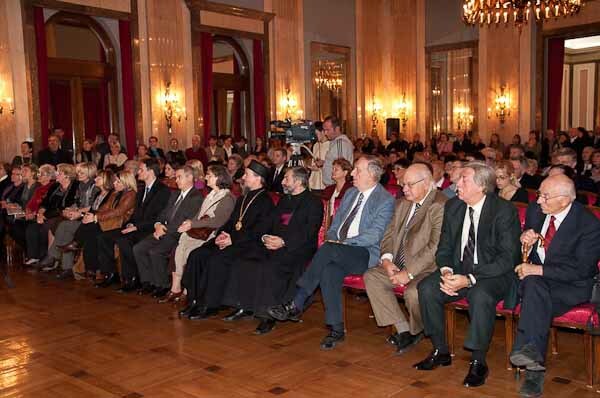 It was the final event of the presentation of the book about the Righteous from Serbia. 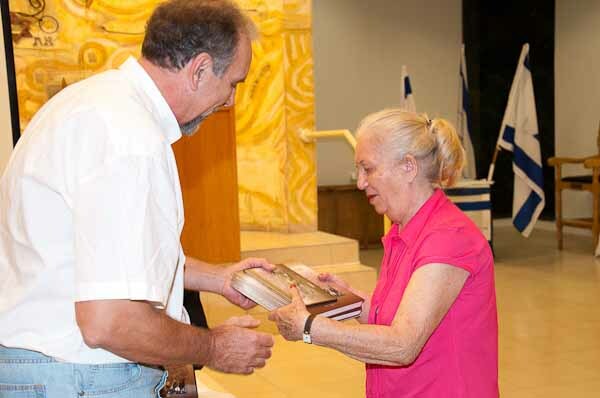 Second to address the audience was Professor Filip David who spoke of the section of the book containing the life-stories about the rescue and the fates of both saviours, the Righteous, and Jews saved. He noted how Jews in pre-war Yugoslavia were practically assimilated, many seeing themselves as Serbs of the faith of Moses. However, the sense of belonging to the Serbian people and state could not help them stay alive during the Nazi occupation. 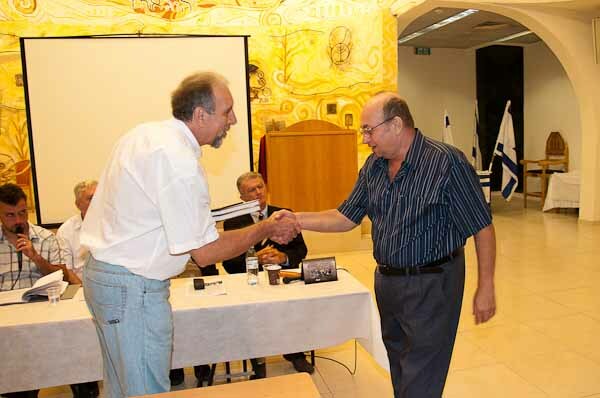 He specifically stated that the Jewish Community cannot accept the fact that in Serbia today those that were responsible for the extinction of over 90% of the Jewish population of Serbia are being rehabilitated. 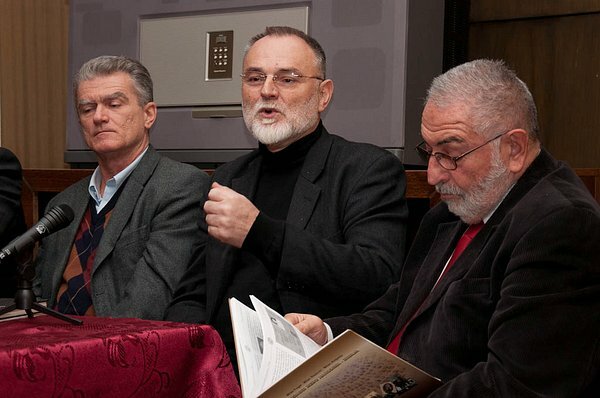 By reading the incredible stories of the destinies of the Righteous Dr. Milislav Stojadinović who during the occupation held the post of Belgrade mayor for a short time before the Germans replaced him, dissatisfied with his engagement in the war effort, and that of Hayria Imeri Mihaljić, a Roma from Kosovo, our renowned actors Marijana Petrović and Predrag Ejdus helped our guests get acquainted with the content of the book. The heartbreaking story of Hayria and little Stela brought the audience to tears. 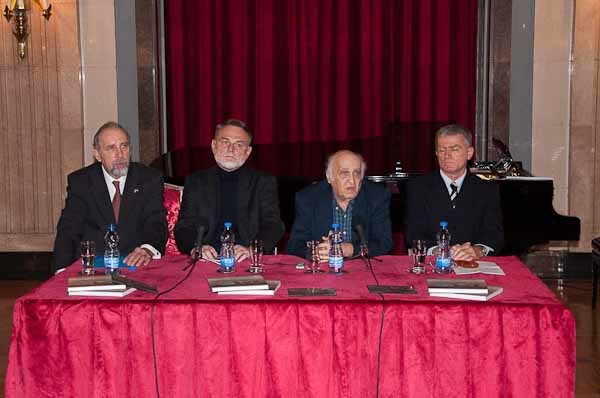 In his succinct speech Professor Milan Ristović once again stressed the amazing courage of those individuals who exposed themselves and their entire families to danger, fully aware of the death threat to all, if found out. Pronouncement of the death penalty was legalized by the collaborationist government of Milan Nedić, together with other racist legislation imposed by the German occupier. 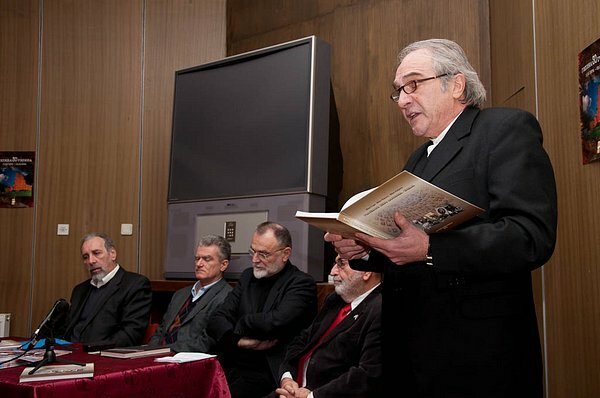 In his speech Dr. Koljanin acquainted the public with the section of the book in which he portrayed the status and life of Jews from the time of the decline of the Ottoman Empire and re-instatement of the Serbian State, up to the foundation of Yugoslavia, as well as of the years of living in Yugoslavia during the period between the two wars. 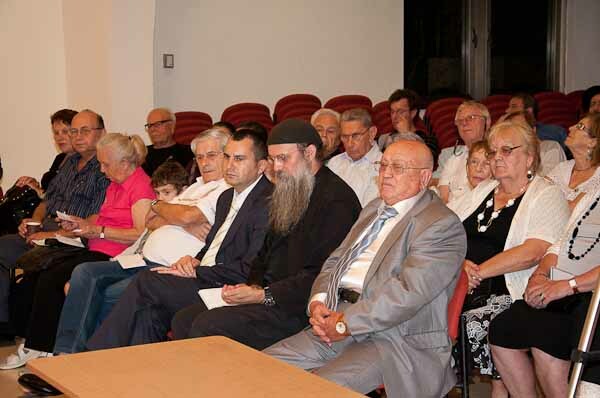 Dozens of descendants of the Serbian Righteous came to Belgrade to attend the book presentation gathering. 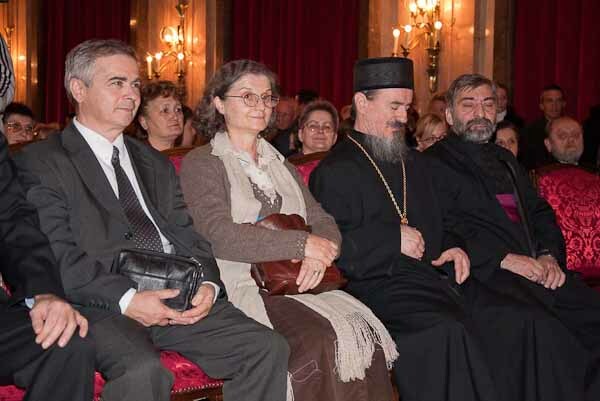 All of them received a set of the publication: the book about the Righteous in Serbian, its English version and the multimedia CD with the film about the Righteous, as a small token in honor of the event. Among the guest attending the presentation was Mr. Robert Sabadoš, Deputy President of the Federation of Jewish Communities in Serbia. 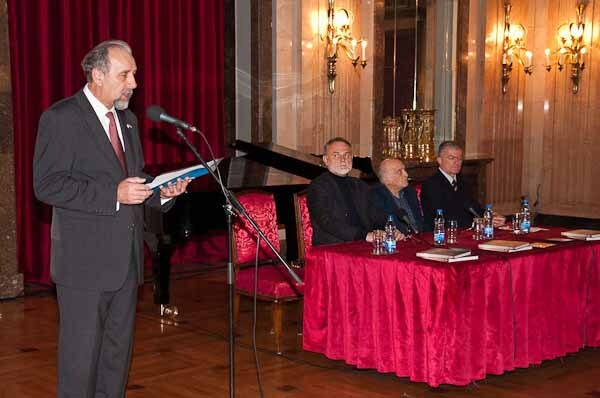 Representing Belgrade City administration was Mr. Zoran Alimpić, Municipality Deputy President. 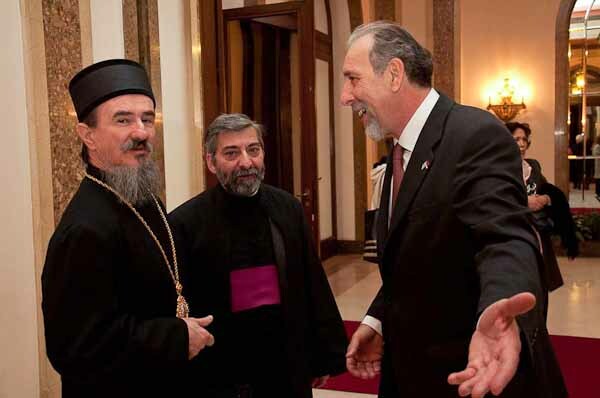 Dignitaries of the Serbian Orthodox Church, the Islamic Community and the Catholic Church were also among the event’s guests. 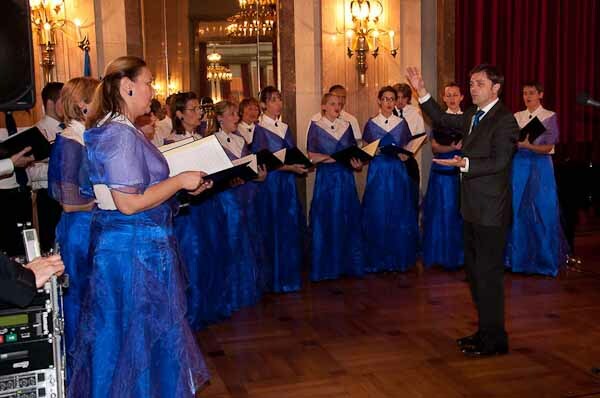 The choir of the Serbian-Jewish Singing Society, led by maestro Djordje Stanković opened the event by performing the Israeli and Serbian national anthems. The presentation ended with the choir singing the song, L’Dor Vador – from generation to generation, truly befitting the theme of the event.